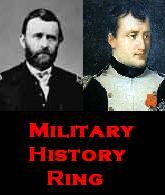 The Franco-Prussian War: Causes & Effects | . I put a lot of blame on Germany for WW1. First of all, the Kaiser and his Chancellor chose to support Austria in their grab for Serbia. They didn’t have to do this, but thought it best to support their central ally no matter how fractious, weak, and doomed that ally was. They supported Austria partly bc they failed to account for Russia’s reaction, but when Russia declared war, Germany declared war on France (Russia’s ally) and Russia. They never thought Britain would come into the war, but then they went ahead and invaded neutral Belgium, only because it was the easiest way into France, at the same time that it was Britan’s main pretext for declaring war on Germany. Germany first wanted a stronger Austria; then, seeing that Austria was starting a war, they wanted it with Russia and France; then, seeing that Britain joined, they cravenly forced Turkey into the war by using her ships to bomb Russian property, so Russia would declare war on Turkey! The Franco-Prussian war did officially announce the arrival of Germany; but in material gains it was nothing–just Alsace-Lorraine, right? More important than that war for the future were: (1) the economic and demographic developments in Germany ( btw the 1880s and WW1 the pop doubled, they became the number manufacturer of steel in the world, etc) (2) Kaiser Wilhelm II infatuation with building a powerful navy–they very thing England, which depended for her survival on naval supremacy, would not tolerate (3) Bismarck’s constitution, which worked for him and King Wilhelm, but not when he was pushed out of power by Emperorer Wilhelm II, who needed the strong ministers the constitutions of england and america decreed, in order to reign in his failures as a good leader (4) letting the secret Russian alliance , which Bismark engineered, expire, causing Russia to look for other allies, namely France, and thus beginning the circle of isolation which drove Germany further to depend on Austria. These are some reasons among dozens. Thanks for the great comments, Matthew. I do agree that Germany bares a big chunk of the blame for WWI, for reasons you mentioned. I don’t know if you’ve read them already, but I’ve written a few posts about the origins of WWI. I think Bismarck is a facsinating study. He reminds me of Teddy Roosevelt in a lot of ways. Not afraid to use force and be a bit of a bully, but also willing to make concessions in a lot of things, especially in terms of social reforms. Both very interesting guys. Thanks again for the comments and I’ll be sure to check out your blog. One, it was Kaiser Wilhelm II who PUSHED Bismark OUT OF power. He lived more than decade after that, and often thought he would be called back, but never was. So it wasn’t a matter of whether he had enough time to influence the kaiser. You’re right about Bismarck being forced out. I have ammended the essay. 🙂 While he did live for another ten years and wasn’t entirely removed from German internal affairs, I can’t help but think that had he actually been in the government he may have been able to temper Wilhelm II’s ambitions. Then again, if Wilhelm II had any inkling of having his ambitions curbed, he wouldn’t have relieved Bismarck in the first place. This article is a neuntuillity FALSE ADVOCATS AND STATEMENTS!!!!!!!!!!!!!!!!!!!!! great article!! really helpful and easy to read. on November 30, 2011 at 11:16 pm thanks! men these was great keep up .